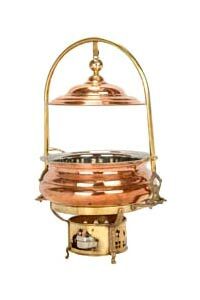 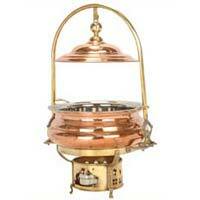 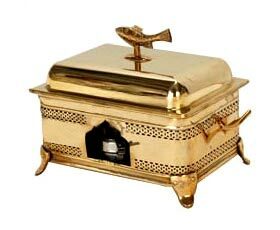 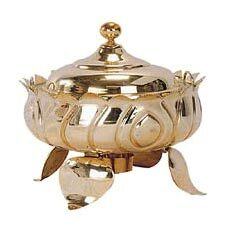 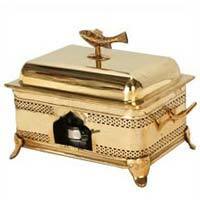 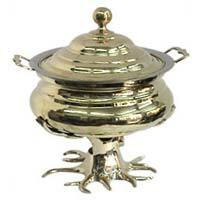 We possess an impressive collection of Chafing Dishes that is available in brass, EPNS and stainless steel. 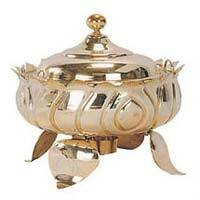 These Chafing Dishes are widely used in restaurants and for catering purpose. 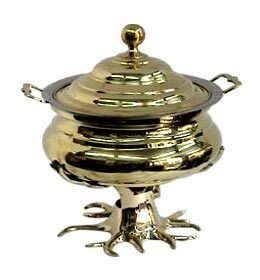 We provide Chafing Dishes in various designs, sizes and capacities measured in liters to meet the requirements of the clients. 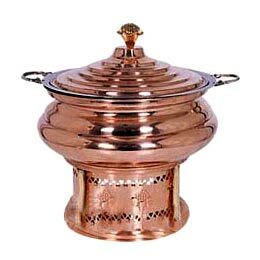 Chafing Dishes are used for storing food and keeping it hot as well. 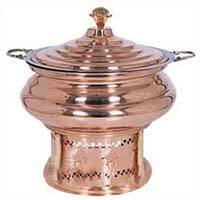 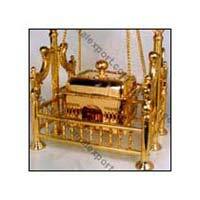 We provide Chafing Dishes in different shapes like dholak, tabla, sitar, jhoola or swing, etc.